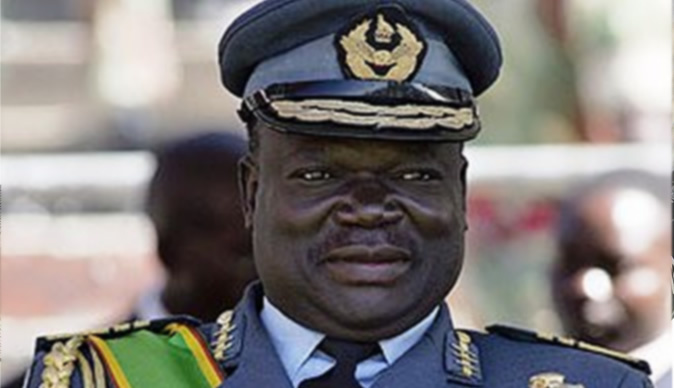 War Vets target Perence Shiri? A citizen journalist from Mashonaland Central who got in touch with Bulawayo24 has reported that War Veterans in four administrative provinces of Zimbabwe have allegedly informally resolved to push for the ouster of embattled Ambassador Chris Mutsvangwa replacing him with controversial Lands Minister Perence Shiri. Said the report, "Matabeleland South, Mashonaland West, Mashonaland Central and Mashonaland East provinces of the War Veterans Association have resolved to nominate minister Perence Shiri to become Chairman of the National Liberation War Veterans Association. "As you are aware that the annual conference of the ZNLWVA is approaching, executives of the four provinces are allegedly to have been burning the midnight oil meeting and plotting on how to remove Chris and whom to replace him with. "A name that has come up and has seemingly been accepted by the four provinces is the name of Minister Shiri. "The sources are saying the provinces are sending emissaries to go and talk to Shiri, and present to him the offer. The war veterans are saying that they want to be chaired by someone who was a commander who has a known rank and a known leadership track record from the bush. They are tired of being chaired and led by nobodies who were juniors in the liberation struggle hierarchy." Commenting on this development, the Secretary General of Ibhetshu lika Zulu Mbuso Fuzwayo said, "If this report is true, this is an insult to the people of Matabeleland and Zimbabweans in general. If we were in a proper democracy Shiri was never going to be allowed to hold public office because of the Gukurahundi genocide that he was a commander of. His hands drip fresh Zimbabwean blood. "For him to assume the leadership of the war veterans after the mass killings of our people will be an insult to the people of Matabeleland, because he has not come out clean on his role and what he did during that period. "How do you make the butcher of Matabeleland a leader of the war veterans? War veterans are a ZANU PF arm that has been committing violent activities since 2000 and you want a genocide criminal to leader the people that still require rehabilitation due to war trauma, that can never be possible. They are supposed to look for someone that is sober and has no blood in his hands and can assist in the rehabilitation of the war veterans because that is one thing they need. You need a person who can assist then in implementing life skills projects." On Monday we reported that war veterans are accusing Mutsvangwa of hiring Lumumba to create divisions in the party, the Presidium and spreading alarm and despondency in the nation. Speaking in a telephonic Interview, a Senior war Veteran from Mashonaland West who spoke on position of anonymity said, "Chris Mutsvangwa broke protocol. If he had issues to raise against the General and against Sakunda he should have written to the party and followed proper procedure. This Machiavellian approach stinks of divisiveness and these are the things which made us kick out Gamatox and G40 cabals. "Chris has over stayed his welcome as a War Veterans Leader, he is driving a narrative of state capture yet he is abusing his friendship with the President to create divisions between the President and the VP so that he entrenches himself and removes the General in an unorthodox manner. "At this moment, we need Chris to tell the nation why he was recalled from China and what he did when he was Chairman of MMCZ. He must come clean on his son Neville's involvement in the diamond cartel that saw Zimbabwe losing a lot of diamonds. If he is an anti corruption crusader then let him start with self introspection."